“Choose your friends wisely,” are just a few wise words to help you look for the best qualities. When you embark on a friendship with someone, you want to make sure this person is good for your soul. When new friendships form, they need to be healthy for growth, satisfying experiences, and fun! Friendships should be a valuable part of our lives and never weigh us down. All the wrong qualities will only be a burden to deal with. 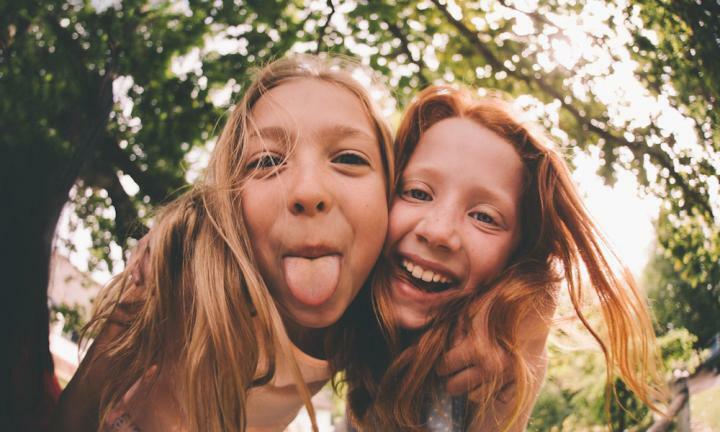 This article explores some of the best things to have in a good friend, and can help you see what to look for in new friendships. What Are the Best Qualities of a Good Friend? Have you ever asked someone their opinion, and they seem to blah, blah, blah you about it. “Do I look fat in this dress,” you ask. Is there answer, “yes, it does make you look a little pudgy,” or do they answer, “you look amazing!” When you know in fact you look 25 pounds heavier in it. On the same note, you may ask for relationship advice, career advice, or domestic advice. Can your friend look you straight in the eyes and give you an honest answer? Or, do they seem to him-haw around or change the subject? An honest friend can be very straightforward, even if the answer might hurt your feelings. This is the sign of a good friend. A keeper! A good friend is supportive of your decisions. While they may offer input and opinions, whatever you decide, they accept. When you decide to go against their own grain, they don’t ridicule or judge. They support you in whatever you do. They support your individual interests, even if they are different from theirs. They may even be open to trying new things you like, or respectfully decline if it is something they don’t feel like being involved in. Support flows in without you even having to ask for it. One of the best qualities of a good friend is that they are fun to be around. They enjoy doing fun things that make you smile and laugh. Even if it isn’t expensive or too involved, this person can find the fun in anything that you do. The fun doesn’t require you to work at it, it just happens. You could be at the park watching people, or shopping at the mall. No matter what this person makes you laugh and brings excitement and joy to your life. Good friends are accepting of who you are and your life choices. They don’t push you to change your clothes, your hairstyle, or do things that aren’t you. If you are quiet and they are loud, they accept that as part of why your friendship works. If you get fired up over certain issues, they accept your views and are respectful of them. They don’t fight or argue to try and change the way you think. Ever find those friends that you don’t talk to for a long time, then you see each other and pick up where you left off. These are the best kinds of friends. High maintenance friends with constant expectations can be exhausting. A good friend realizes that each person has their own individual life, and friendship is the icing on the cake of life. If you have a friend that expects you to be at their “beck-and-call” this is just you satisfying their needs for attention and entertainment. It gets old real quick, or you find yourself worn out. Find friends at a similar place in life with similar schedules. For example; if you have kids, find people with kids. If you work a lot of hours, find other people that are equally as busy. If you find yourself to be the “flaky” friend, make sure you associate with flexible people. No one likes setting aside time, only to get cancelled on at the last minute. It can make some bad friendship vibes, and cause resentment. Make sure you find people that are okay with casual plans. On the other hand, be a flexible friend and realize things happen in life. Always have a backup plan if you have a friend that cancels. Two tickets to a concert on Saturday and they ditched you? Have other friends handy just in case. Flexibility without hard feelings is an excellent quality for good long-lasting friendships! This is one of the qualities of a good friend that’s hard to find. You may have different qualities than your friend. We all have our own sets of; values, belief systems, convictions, and ways of doing things in life. It is very helpful if you have a friend that does not judge what you believe in, rather they accept these things as part of who you are. It is also important for us to accept others for their core set of values and beliefs. This is what makes us who we are. To be judged for our basic cores would make for a very shallow friendship. As humans, we need to be heard. Having a friend who can just sit and listen, is one of the best friends to have. It can be really frustrating when you begin to share your thoughts, and your friend constantly interjects their; opinions, stories about themselves, or talks about other things that are unrelated to your issue. In the same sense, to be a good friend, be a good listener. If you have a good intuition, you can tell a fake friend pretty quickly. They are superficial, and usually don’t talk about their issues in life. They only scratch the surface of life with you. They seem to be only concerned with outward appearances, follow the crowd, and don’t seem to have any real sense of individuality. Look for people that bare their souls, prefer doing their own thing, and tell you upfront what is on their mind. One of the biggest qualities of a good friend, is a loving friend. This is a person that is not afraid to give out a hug as needed, or cry with you when you cry, or do something extra special for you. It is a hard, cold world out there. When your friends warm it up with love, it is a much easier place to live in!